March 8 is International Women's Day, a global day celebrating the social, economic, cultural and political achievements of women. The day also marks a call to action for accelerating gender parity. International Women's Day (IWD) has been observed since the early 1900’s. The Rotary Club of Toronto is pleased to welcome the Honourable Jean Augustine on March 11th who will talk to us about the presence of Canadians of African heritage, their contribution to Canadian society and the reason to celebrate and recognize their achievements. 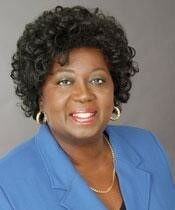 In 1993, the Honourable Jean Augustine, became the first Black woman elected to the Parliament of Canada. Among her accomplishments as an MP, was the introduction of a motion to have February proclaimed as Black History Month in Canada. To shed light on the achievement of black women in Canada, Ms. Augustine is currently working with Dauna Jones-Simmonds on publishing a book of the ‘100 Most Accomplished Black Women’ which will highlight the accomplishments of current and past Black Canadian women in government, business and private and public sectors. After completing a Master of Education degree, Ms. Augustine supported many social causes. She also served as the National President of the Congress of Black Women of Canada. She holds an honourary Doctorate of Law from the University of Toronto. During her years as a federal member of parliament, The Honourable Jean Augustine served as the Parliamentary Secretary to the Prime Minister of Canada, Chair of the National Liberal Women's Caucus, Secretary of State for Multiculturalism and the Status of Women, Chair of the Standing Committee on Foreign Affairs, and Deputy Speaker. In March 2007, she became the first Fairness Commissioner for the province of Ontario. In 2007, Augustine was nominated by the Government of Ontario to become the first Fairness Commissioner, a position created to advocate for Canadians with foreign professional credentials, a position she held until 2014. She is the recipient of the YWCA Woman of Distinction Award, the Kaye Livingstone Award, the Ontario Volunteer Award, the Pride Newspaper Achievement Award, the Rubena Willis Special Recognition Award, and the Toronto Lions' Club Onyx Award. She has received the Order of Canada for her distinguished career as an educator, politician, and advocate for social justice in Canada.